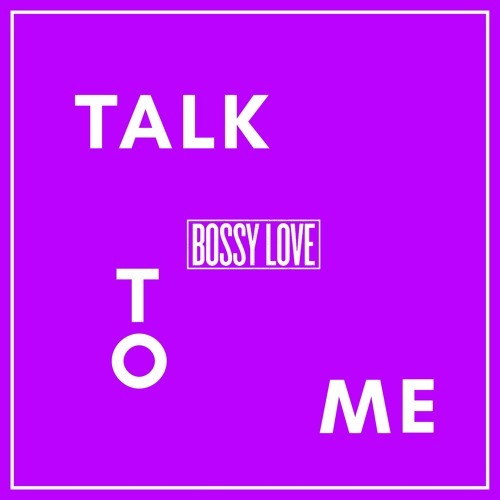 Glasgow based enigmatic pop duo Bossy Love, comprised of singer Amandah Wilkinson (formally Operator Please) and John Ballie Jnr (former Dananananaykroyd lead) have just unveiled their brand new single Talk To Me. Talk To Me has an infectious beat with Amandah’s distinct vocals fuses attitude, funk and fun–it makes an impression. Stream it below! Being heavy into 80s Janet, John made this beat and ‘Talk To Me’ happened. It’s about pushing through a difficult situation without rising to the bait and not feeling the need to settle for something that isn’t right for you. Bossy Love have spent the last six months building and running a recording studio in Glasgow where they have been preparing their next set of releases to unveil in their live shows.